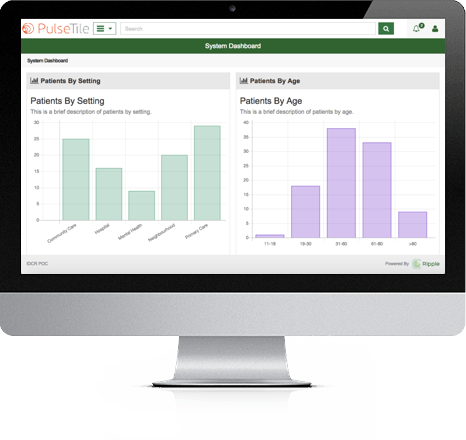 PulseTile is clinically led to support the busy end user. This simple yet powerful UX/UI framework is tailored for use in a clinical setting. Usability isn’t good enough in healthcare. PulseTile tackles this with an intuitive offering that is clean and clear. PulseTile is made up of core and plugin modules (Tiles) so you can customise the UX/UI framework to meet your own local needs. 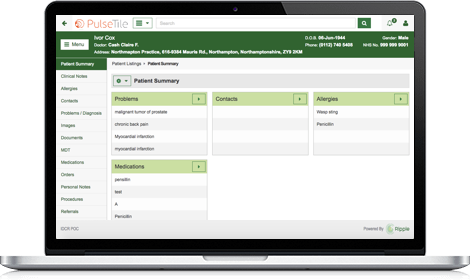 PulseTile UX/UI framework supports patients and professionals in the complex and busy clinical setting. 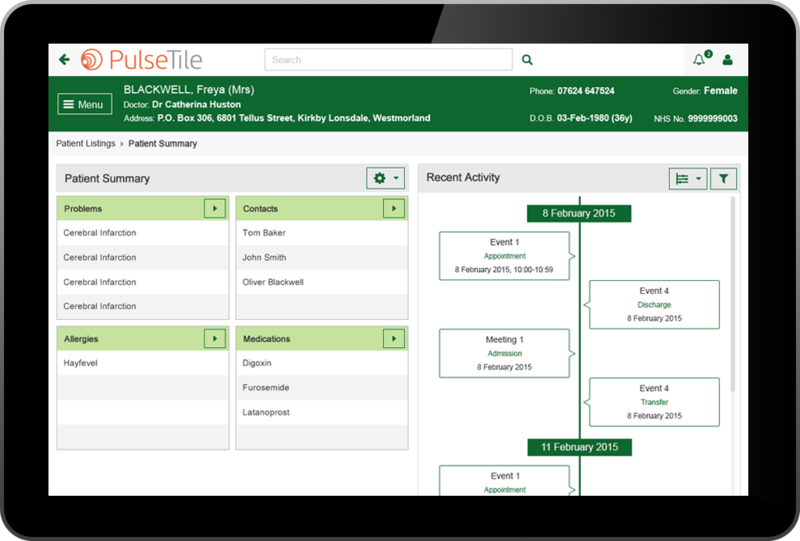 PulseTile combines a range of features for intuitive ease of use. It provides key information with the fewest possible clicks! 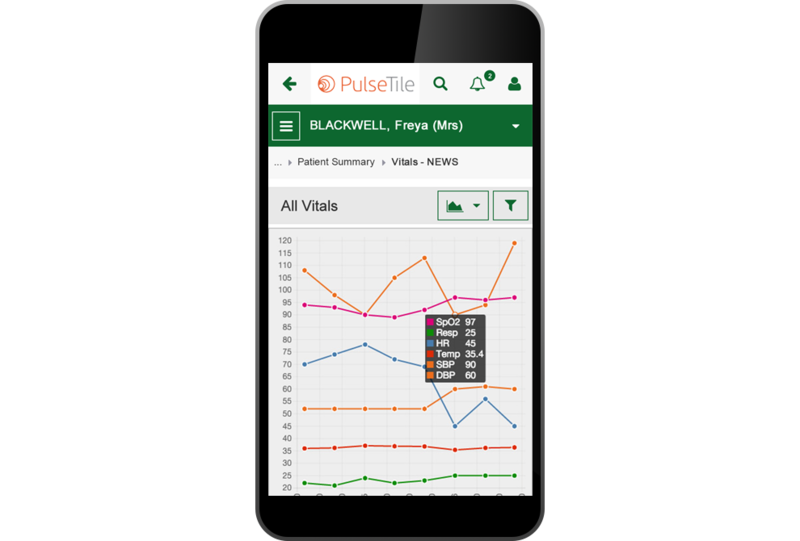 With a strong set of important clinical features, the PulseTile framework is underpinned by a range of robust technical features too. 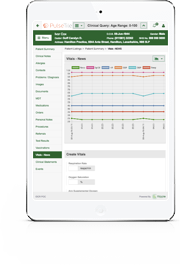 This tool is aimed to support the clinician as well as the broader healthcare enterprise. We welcome those who want to explore and understand more with a look ‘under the hood’. Please click on the features button to find out more. 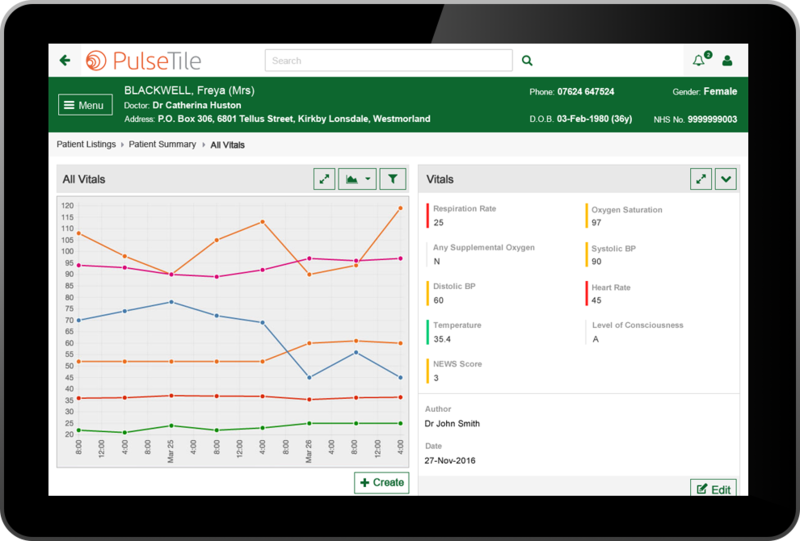 PulseTile can be traced back to a clinician working in busy Emergency Departments in the UK and USA. On every busy shift, the number one issue, time and again was the need for better usability – UI/UX framework that you would simply want to use. Work began… small efforts, agile and user centred. Now after several years of effort, we are able to openly release PulseTile to the world. Pulsetile’s mission is pretty simple. The most useful UX/UI framework in healthcare. Will we succeed? We don’t know but we’re not afraid to try. If you know a better UX/UI framework for healthcare, please let us know. Otherwise… please spread the word! Documentation is as important in tech care as in healthcare. “If it isn’t written down it hasn’t been done”. We are committed to easy to understand yet detailed documentation to ensure this framework is easy for you to use. Please take a look around here and explore our detailed documentation. If you notice any gaps or gaffes, please get involved and let us know. The community involved in developing PulseTile are a friendly bunch. If you have any questions or want to understand more, please get in contact on our #Slack channel. 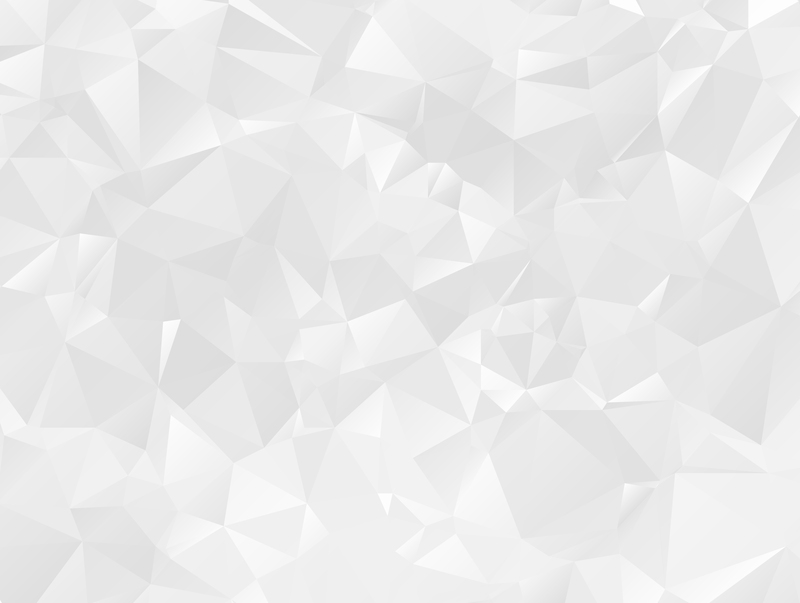 PulseTile is proudly open source. Open source in healthcare is something we passionately believe in. All our code is openly available to the world on a permissive Apache 2 License. Check us out on Github where you can raise an issue, bug or submit an idea..